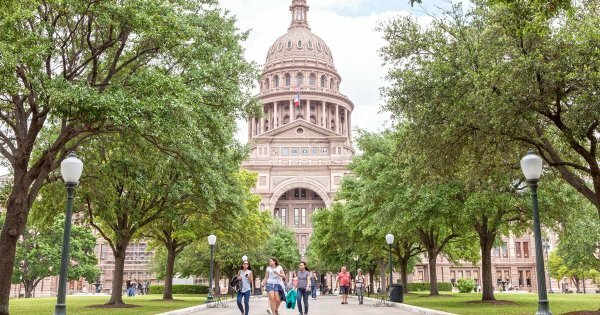 For some of the most auspicious moments to experience, go on an eventful private tour of Austin, described as a creative university city and techie hub. It also holds the best festivals throughout the year and it is a city where the majority of living is done outdoors. When you visit Lady Bird Lake, you will want to join in the fun on the water because in this downtown lake there is rowing, kayaking and, new fad, stand up paddle boarders. For those who are outdoor lovers but not so in love with effort, the answer to your special day is a leisurely boat ride on the lake. Alternatively there is always the odd bit of skydiving outdoors but also indoors in the iFly skydiving centre, swimming in the natural Barton Spring Pools is another activity for all the family or do the odd hike and bike trails. History and culture are also paramount in the city of Austin. 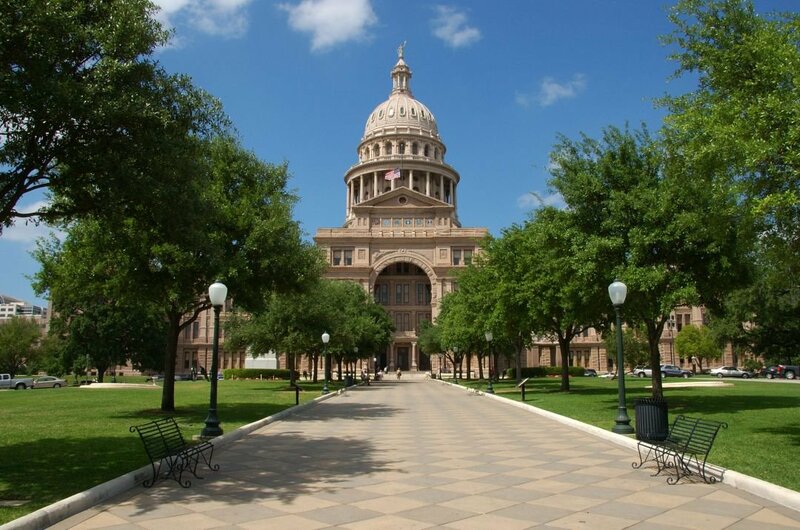 There are excellent guided tours to such places as the State Capitol and the many museums, galleries and theatres. Austin is the ‘live music capital of the world’, or at least as far as the music people of Austin are concerned, they are. When you visit Austin, you will, however, be treated to some of the best live music on a nightly basis but also during the daytime ranging from Rock, Jazz, Pop or honky tonk. Shopping is taken very seriously in Austin so be ready for great areas such as South Congress Avenue shopping strip which is crammed with vintage shops and boutiques as well as galleries and cocktail bars. 1 Take an interesting guided tour of The State Capitol building, built in 1888, where the State Governor office is found and the chambers of the Texas Legislature.The building and the 22 acres of grounds are protected as a National Historic Landmark. The visitor centre is first rate and provides excellent information on the Capitol. See the monuments to the Heroes of the Alamo and the veterans of the Vietnam War. 2 On a sightseeing tour, visit the Zilker Metropolitan Park and Botanical Garden which is a popular green space for visitors and locals. Within the park, there is the Zilker Hillside Theater which hosts the annual Zilker Summer Musical and the Umlauf Sculpture Garden and Museum. The Botanical Garden has 30 acres of impressive themed gardens that include a fabulous Japanese Garden with waterfalls and streams. 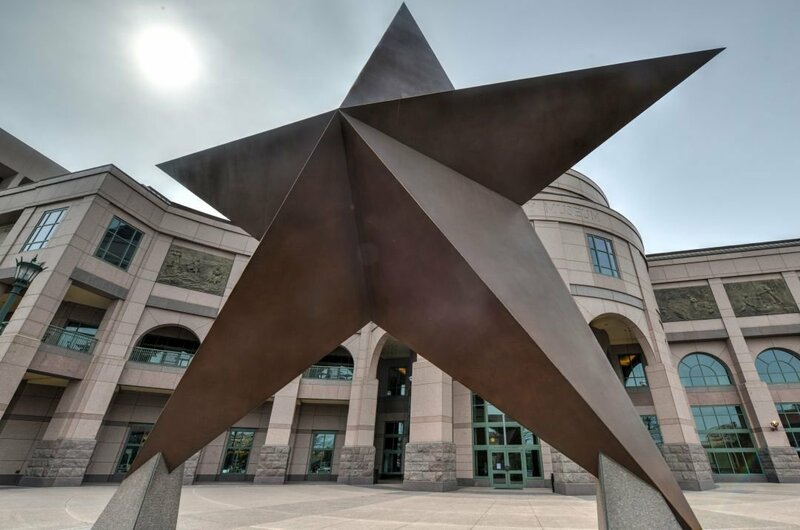 3 Take a guided tour of The Bullock Texas State History Museum which tells the story of Texas through interactive exhibits, audio-visual displays and film in the museums on site IMAX Theatre. Not only do you learn of the Lone Star State history but also you learn about the natural landscape, ranching, Native Americans, explorers and famous Texans. There is also an excellent museum store and cafe for a rest midway through your tour. 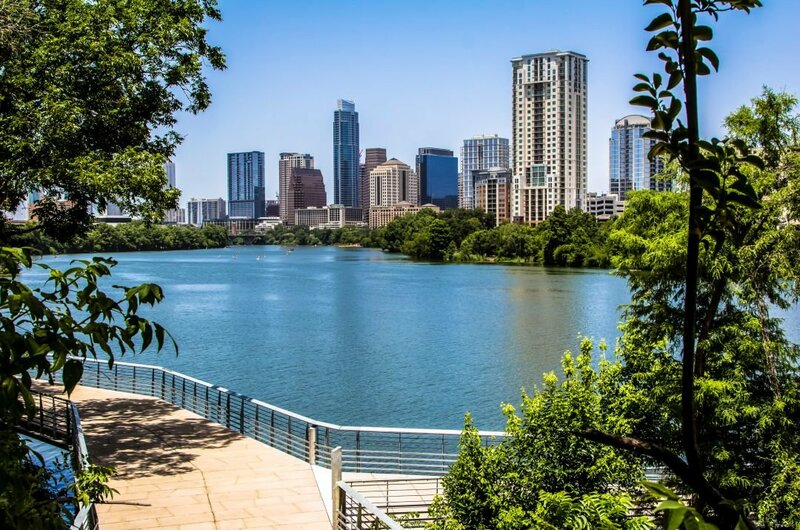 4 On a sightseeing tour, take the time to see Lady Bird Lake which is a reservoir on the Colorado River located in Downtown Austin. It is named after President Lyndon Johnson’s wife. 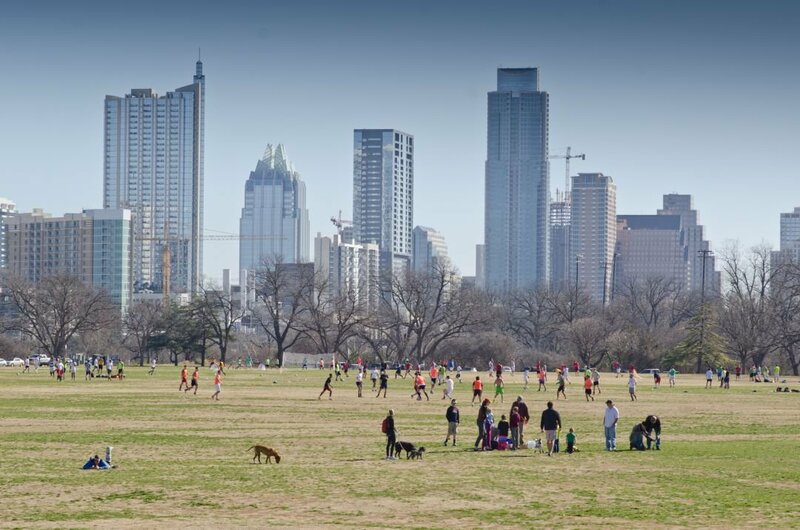 There is the Austin Hike and Bike Trail on its shoreline and it is home to Auditorium Shores where major events like music and film festivals are held. There are super water activities such as boating, kayaking and paddle boarding. 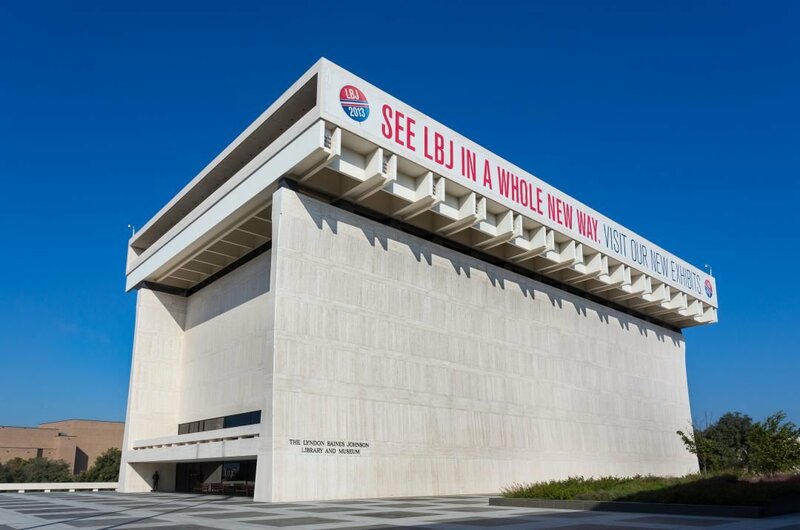 5 A popular tourist attraction to take a guided tour of The Lyndon Baines Johnson Library and Museum. There are 45 million pages, or more, of historical papers and documents related to and from President Johnson’s lengthy career. In the museum, there are exhibits relating to the president's time in office and the rise of the civil rights movement. The is also an Oval Office to scale replica, exactly like it was during Johnson's presidency. 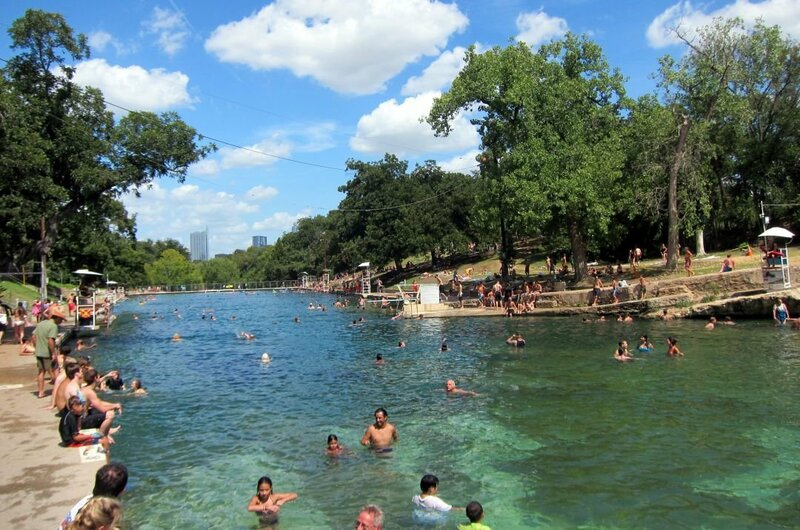 6 Why not take a tour to the Barton Springs Pool which is a recreational outdoor swimming pool with water from the natural springs nearby. It is found on the grounds of Zilker Park. The pool is around three acres in size and there are lifeguards on duty all day every day. The average temperature of the water is around 15 degrees Celsius and ideal for swimming all year round. A trivial note; Robert Redford learned to swim here aged 5. 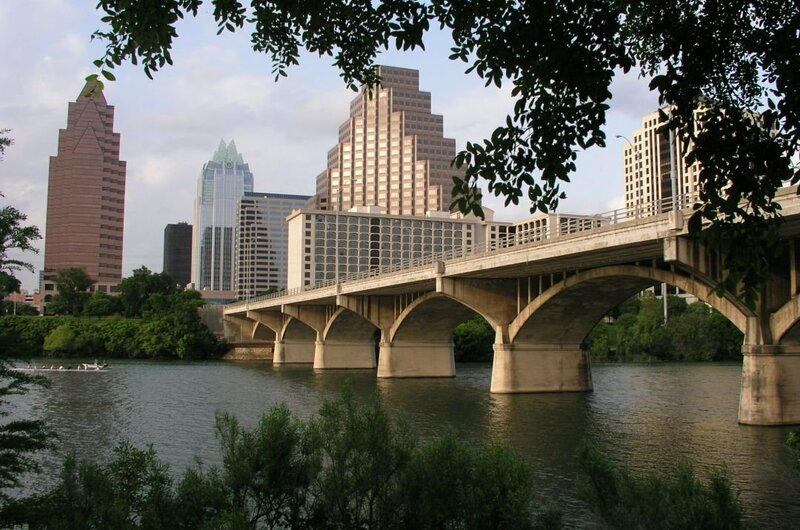 7 On a city tour of Austin, you will cross the Ann W. Richards Congress Avenue Bridge which spans across Lady Bird Lake. Unknown to the engineers who constructed the bridge in 1980, they had built the ideal bat roost. This bridge is now famous for the bat colony that lives and thrives in the crevices beneath the bridge. Dusk is the best time to visit here as you will witness the world’s largest urban bat colony in flight. 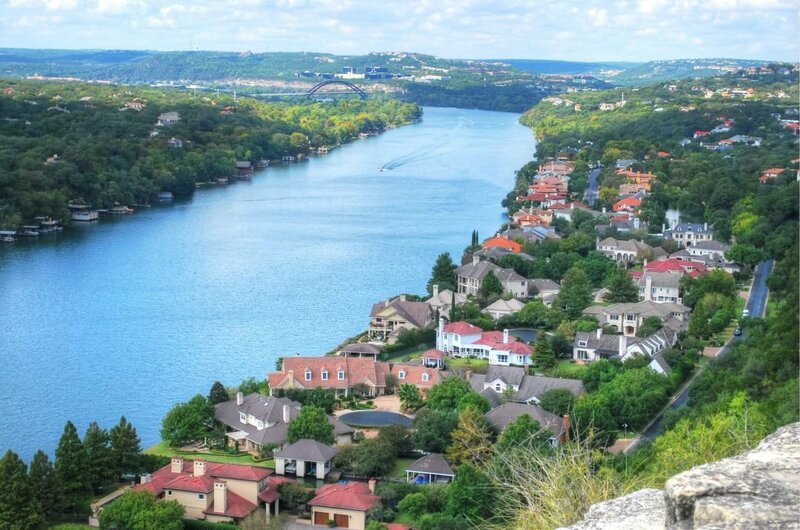 8 Take a sightseeing tour of Mount Bonnell which is one of the oldest tourist attractions in Austin with documents going back as far as 1850. From the summit of Mount Bonnell, which is 785 feet and the highest point in Austin, you get to see spectacular views of the city downtown. It is a very manageable hike up steps to reach the top, once there you see the views and can enjoy the charming outdoor area for picnics. 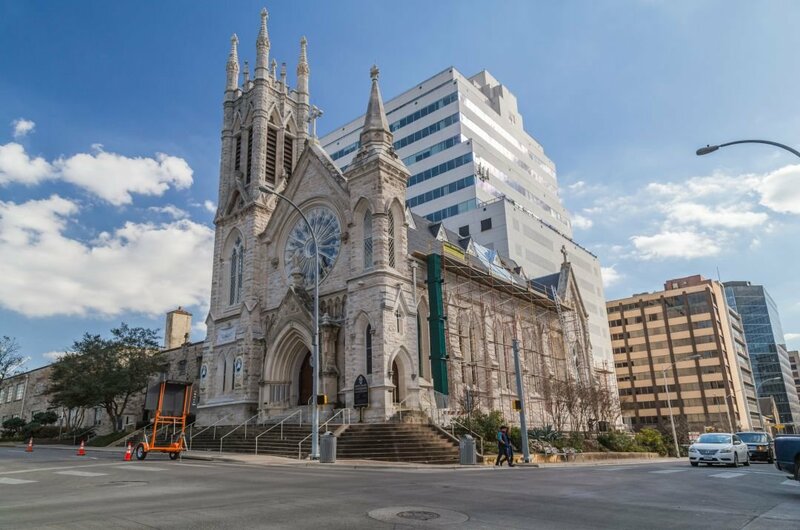 9 Take a sightseeing tour of St. Mary’s Cathedral which is listed on the National Register of Historic Places since 1973. See this stunning building and its exceptional Gothic Revival architecture that was built in during the late 1880's. As you walk around the inside of the cathedral admiring the fabulous features and artefacts, take a minute to light a candle for someone special even if you are not Catholic. 10 Take a guided tour of Blanton Museum of Art and be amazed at the fabulous art. 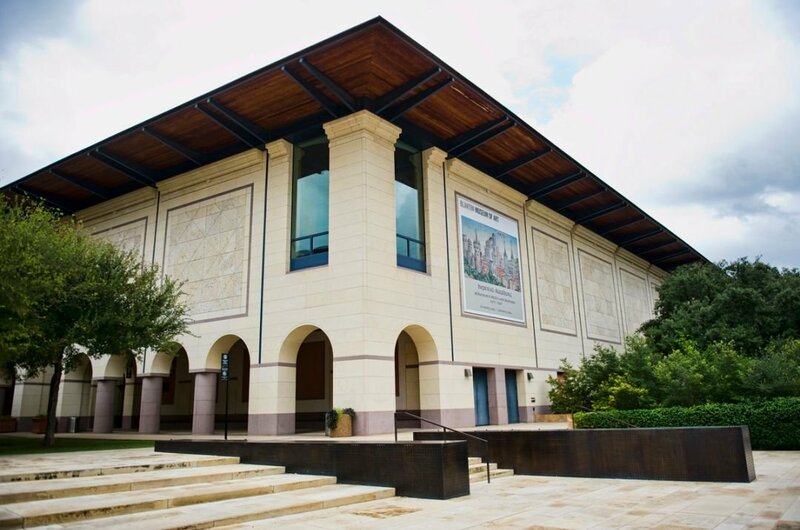 Found at the University of Texas, the Blanton Museum of Art is close to being the largest university art museum located in the U.S. Included in the permanent collection are European paintings, an encyclopaedic collection of prints and drawing and contemporary and modern Latin American and American art. There is a museum shop which has lots of interesting things. The best time to travel to Austin, Texas will all depend on you the tourist and what yo want out of your trip. Weatherwise and for going on sightseeing tours, the preferable time is from September all the way through to May. This is because the temperatures get so high in the summer months of June to August. During October and November, the majority of events and festivals are held, these are great times, but there are more crowds and expense too. Austin and the majority of the other cities of Texas are cheaper for tourists than many other cities in the United States. B&B for one night in a clean and comfortable double room starts from as little as $30 in a motel. You can spend much more; it will depend on the standard you want. Eating is varied in price too, ask locals for their recommendations as they will know cheap and cheerful places. The Metro is the cheapest and easiest way to get around. Before travelling check the weather forecast and be prepared. Book as many private tours, you are want to go on, in advance, so you know your schedule. When you arrive call into the Austin Visitor Centre where you will get all the information you need to help you during your stay. Venomous snakes are found in all of Texas so be watchful and stay away from stinging prickly pear cacti. Never carry around more cash than needed. June to August, the temperatures average around 32 degrees Celsius and it is hot, sunny and humid. September to November is a more comfortable time with temperatures around 22 degrees Celsius. December and February and you will rarely see snow here; temperatures only go as low as 15 degrees Celsius. March to May is back to temperatures of 20-25 degrees Celsius. Austin does get its fair share of rain in the Fall and Winter and the possibility of hurricanes.